Uh oh, here we go again. Facebook is changing its look and feel at the end of the month. On 3/31/12, the social-media juggernaut is launching its new Timeline functionality – a new way of viewing profiles and fan pages. For business owners, organizational leaders, and book authors, there’s a lot to be excited about because the new layout asks you to tell a story in social media, refining information about your past while focusing on the content you will share in the future. With the latest revamp: Words are out and graphics are in. The cornerstone of your Timeline wall is the header, a large banner that runs horizontally across the page. The space is a canvas to brand yourself, your business, or your books with a single image (of no more than 851 x 315 pixels). Be sure to select a well-formatted graphic that complements your work but know that you cannot include advertisements, contact information, or calls to action within the banner. 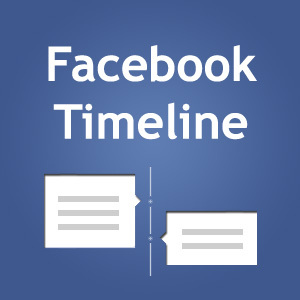 Your new Timeline wall represents your life – and the life of your fan page – through interspersed images and status updates. Users can scroll back and see what the updates were from years past, taking a trip down memory lane as they explore the release dates of your last book, photos from a past press tour, and early reviews for your upcoming publication. Because it’s all about looking back at what you’ve done, take time to “back-fill,” post-dating photos and other updates to flesh out the story of your fan page. Take time to chronicle your accomplishments so your fans have information to enjoy from your past. Beneath your banner, you will have the ability to “pin” an update to the top of your Timeline for seven days. This keeps eyes on your most important developments such as information about new promotions or an upcoming media interview. Be deliberate as you select these messages. Promote your business and your programs, share your passions, and engage with your fans through these static posts. Facebook is an ever-changing social networking experiment, so try to have fun as you make the move from “fan page” to “Timeline wall.” As you do so, take the time to analyze your image, select images that represent your brand, and make deliberate choices as you tell your story via Facebook Timeline. Feeling overwhelmed? The StyleMatters Social Media team can help. Find us on Facebook.